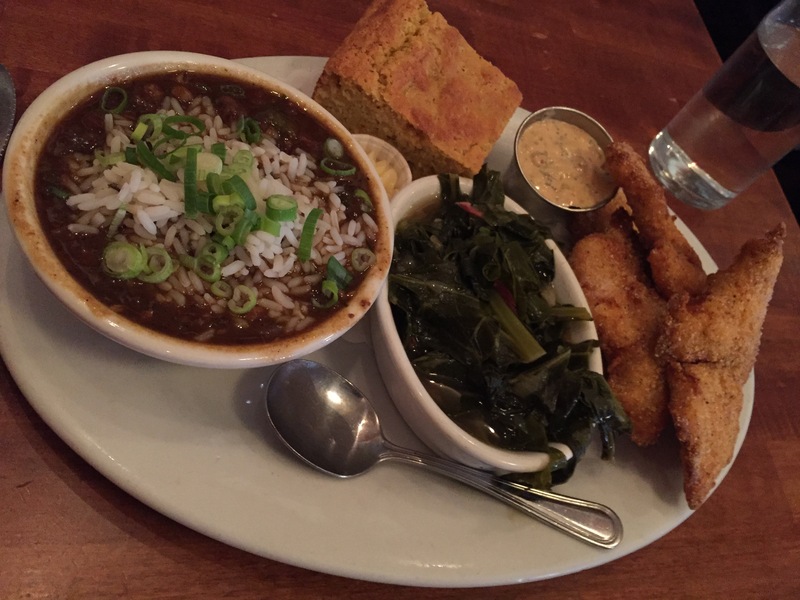 If you’re into southern food and need some comfort food, Screen Door located in NE Portland is the place for you. This restaurant always has a long line outside of it since it’s so popular, so try to get there early to that you can be seated faster. First off, their waiters are very knowledgeable on their menu and are always so helpful. I must say, they make the BEST fried chicken ever. I’ve had my share of fried chicken in my life, and I gotta say, hands down, Screen Door’s “Crisp Fried Buttermilk-Battered Chicken,” is a must eat while in Portland. It was seasoned perfectly and perfectly crisp as well. 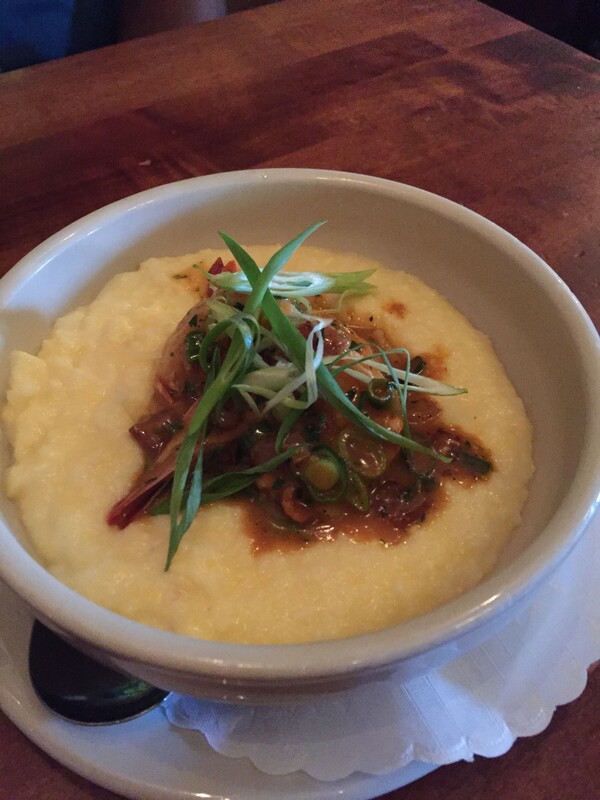 We also had the shrimp and grits- they served it with big generous pieces of shrimp. Their fried oysters were pretty good as well. What they also offer that is amazing, is that you can do a sampler plate and mix and match items. My boyfriend ordered the catfish with sides of greens, chicken and sausage gumbo, and corn bread. He licked his plate clean. Some people may think this restaurant is pricey, but honestly, for the amount of food that they give you, it’s definitely worth it. You’ll either bring some food home, or be so stuffed that you can’t move. If you’re ever in the PDX, I recommend you stopping by Screen Door. Their address is: 2337 East Burnside St in Portland. Catfish with a side of chicken and sausage gumbo, collard greens, and corn bread.